I itch 24/7 from atopic dermatitis, I have been treated by an allergist, dermatologist and a general practitioner. I am 65 suffering itch often through life. 3 years this time on neck and shoulder. I sleep with ice pack, rub on Sarna and triamcinolone cream. My blood work shows all is okay. I got stung by the same scorpion on the same hand. Oh and I'm 8. The way it happened the first sting, when I flipped my pillow I was singing and looked over somewhere else for a minute. I touched my other pillow and it stung me. My dad and I had no idea what happened but after at least 18 minutes the pain went away. The next one was when I was talking to my friend on my laptop. I felt something on my shoulder. I looked over and I saw it. I didn't realize it was a scorpion because it scared me. I flung it off my shoulder and it landed in my corner. But it stung me on my ring finger. My friend kept saying 'Oh my goodness, are you okay?' I kept saying I'm fine and I ran to my mom. She found the scorpion. It was black and tan. She killed it, and it had a pretty long tail. She put mustard on it and I was fine after a while. The scorpion stings don't hurt too much. But a few minutes ago I hallucinated. It wasn't too bad, it was just of a black widow on my floor. I told my dad and we didn't find it anywhere! So now my head hurts and I can't describe the pain. I had surgery in 2001 to remove a lymphoma and have been in pain whenever I sit down ever since because of adhesions and nerve damage. Medications help a little, I have had various scans and nerve blocks without any effects. All I want now is the name of a surgeon who will go in there and free up whichever adhesions are causing the pain! 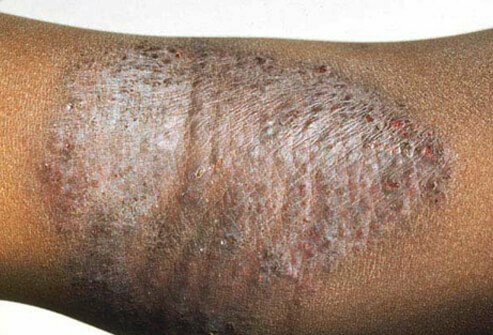 I have had eczema for about 7 years now. Lenovate has helped my atopic dermatitis over the years but not anymore. This past few weeks I've tried every kind of cream, it cooled my skin for a few hours and then I ended up scratching later on. Somebody told me about coconut oil. This is only the 3rd day of use and I haven't scratched. I'm amazed at it. I apply in the morning after bath and also evening after bath, and I'm seeing instant results. It is all going away. You'll never go wrong. I've been suffering so, I wouldn't want anybody else to suffer any further, so please try it. When I brought my son home from the hospital after he was born, he immediately developed a rash on his face and body. Our physician prescribed a steroid cream, which has long term side effects like thinning the skin. My mother reminded me that our family is sensitive to detergents, soaps, etc. I re-laundered everything with a detergent that I am able to use and voila, his eczema disappeared! Moral of the story: don't 'treat' the symptoms, prevent the problem (and remember, physicians are trained to treat more than prevent). Plea to manufacturers: don't change the formulation of your products; those of us with sensitive skin rely on consistency (and it takes months to years to find a suitable replacement)! I have recently been diagnosed with a form of eczema (related to ASA triad) where although I do not have a rash, I scratched until I bled. I have been using Neutrogena coal tar shampoo, Grandpa's Pine Tar cleanser and Vanicream, as well as fragrance free laundry products, and the improvement has been incredible. I have had atopic dermatitis since I was 6 months old. I am now 30 and still suffer from skin rashes. Until I was 17, the key areas were the joints of arms and legs and a bit on the face. When I was 17 years old I discovered that my triggers were dust and the sun. Even slight exposure to either caused a reaction. A five minute exposure in the sun led to severe burns. If I am indoors at work or at home, my skin is 100 % ok. My 2.5 year old daughter has also developed atopic dermatitis. Her triggers seem different. We recently learnt about a place called NAET (Nambudripad's allergy elimination techniques) which is helping us to identify the allergens and eliminate them one by one. My daughter is responding very positively to this treatment. What also works is bathing with Cetaphil cleansing lotion, followed by 1 spoon of Olemessa oil in the bath. I"m 20 years old right now. Signs of atopic dermatitis started showing when I was around 10 to 12, initially the problem began with rash on my neck, elbow joint region, and knee joint region. Then it slowly started showing off on my face, I used to have kind of blisters on my face due to excessive itching at night. And by the time I was 16 to 17, the disease triggered even more. Inflammation of skin, blisters, wounds and all that. Now itching has reduced since I started consulting a new dermatologist, in my cheeks, eye region and neck which is the main region where I still get severe rash or wounds or inflammation signs. My case is quite a severe case. At the age of 20, problems related to rash, night itching, and inflammation seem to keep increasing but overall body itching has reduced. And yes, I'd like to tell you all that red wine causes severe rash on the neck or face, so avoid it. This is a constant battle that I"m fighting every day, I feel like giving up all the time, but can"t do that. We have to be a fighter and fight it till the end. One of the reasons I ordered Solafeet was that I have atopic dermatitis on the backs of my hands and the tops of my feet. Regular use of this device immediately gets rid of it if it flares up and it also helps to control flare-ups. My dermatitis started out as what looked to be ringworm on my shin (so I treated it as such) and my skin just seemed to freak out! I had the itching (like crazy) and clear oozing after showers, which crusted yellow, then formed hard cratered circles (after peeling)that turned to scars. Now I'm left with scars on my shin, thighs, arms, and lower back. The doctors thought it was MRSA at when they looked at it, then after a punch biopsy turned out to be dermatitis. I have never been allergic or sensitive to anything, but I did move to a new area. When I was put on prednisone it helped a lot. But now the only thing I treat it with is steroid creams. It seems to only been a temporary fix though, I am feeling and seeing the rashes pop up again. When the itching starts, I clean the area with alcohol, then apply extra virgin olive oil. It has really helped me. I've had atopic dermatitis for several years now. It started out on a small part of my scalp and spread. It got to the point where just the water from a shower made it burn. The best thing that I've tried to treat the scalp patches was shampoo and conditioner with tea tree oil in it. It reduced the itching and patches significantly and made my hair much healthier too. It's the only kind of shampoo that has worked for me. I have been suffering from atopic dermatitus for about 16 years and have used cortisone cream, which has helped, but I've heard isn't good to use long term. It also needs to be applied at least twice daily. Recently I tried a topical derivative of "Simpson Oil" a cannabis infused oil, and it has worked better than anything I've tried so far, lasts longer, and I have hope I will be cured, based on the results. I have had this all my life, or as early as I can remember. and I'm now 42 years old. My flare ups are bad. I have been using a corti-steroid ointment that works really well (perscription), I have learned that I can't use the cream on my face as I suppose I need the added benefit of the petroleum to keep moisture in my skin. I mainly use this on my face as I have found that Cetaphil Cream works well for the rext of the body. I am still searching for a great over-the-counter for my face, will next try Aveno and Neosporin for Excema. For me, the change in the weather (warm to cold and cold to warm) and stress are my main triggers. I have seen some success using a daily dose of Benedryl or another allergy medicine as well as Singulair, Albuterol and Advair. Soaking in an Oatmeal bath is also helpful. For your eczema or dermatitis, try Aveeno Eczema Therapy Moisturizing Cream available in Walgreens, CVS and other popular pharmacy chains. My best friend swears by it! It gave her immediate relief as early as the first application. It also has perfect reviews online from many many users. Everyone gushes about this cream as if it were a miracle drug. And it is cheap too. Also available for infants and children is Aveeno Baby Eczema Therapy Cream. I have had atopic dermatitis my whole life. After finally being diagnosed and having an allergy test done, I was able to keep the flare-ups to a minimum and see much improvement in my skin for the last few years. However, lately it has gotten so bad again that my skin itches horribly all day and night, and it flakes off. I have scabs from scratching. My daughter has been sick since she was 6 months old. She is now 5. We've seen many dermatologists, even changed our living environment, and our diet--but nothing has changed with her condition. Her skin gets dry and itchy, becomes hard and gray, and even peels. It develops blisters on her joints, smells and she gets ear infections. I worry about my child's well-being and am concerned that she might end up with hearing problems. She is in kindergarten but the teachers say she can't do anything because she scratches all the time. Please help. Hello my son is 14 and he has been having problems with atopic dermatitis since he was around 3 months old. More recently he has been having a reaction in his genital area. We have seen a skin specialist and found out things that he is allergic too. He was given a treatment plan but there seems to be just no end to the pain and suffering that he goes through. If anyone has any suggestions it would be much appreciated or if anyone else out there has suffered in the same way we would appreciate any advise. Thank you. I am 50 and have suffered now 2 yrs with Atopic Dermatitis, but looked like urticaria, after appointments with specialists, cortisone creams, and pills I developed Mauno, my immune system was depleted. I boosted my immune system and had a water softener put in my home along with reverse ozmosis to wash my face. I also changed my diet, pretty much gluten free, no sugar, no soy, added Almond milk instead, coconut oil, and now feel great and my skin has cleared up 90%, I still itch hear and there and have flare-ups but seem to be more around my eyes and neck...not sure why so I decided also to check my thyroid...I still work out everyday and get my B12 shot regularly along with pro-biotics, P`Au Darco tea (fungal), etc...and it seems to be working. I had allergies most of my young adult life and only in the last 3 years have I suffered with Atopic Dermatitis. I have found that a cream called Ionic colloidal silver has been extremly helpful. Factors I know that affect my internal system is sugar, which is extremly diffcult for me to give up, but have seen the flair ups that it creates.